The 41-mile Great Miami River Bikeway and Recreation Trail winds along the river through downtown Dayton. Situated in the Miami Valley region of Southwest Ohio, Dayton is a mid-sized Midwestern city with a history of innovation surrounded by a diverse metropolitan area of almost a million residents. Home to LexisNexis and Wright-Patterson Air Force Base, the region is known for its strengths in information technology, aerospace research and development, advanced materials engineering and health and human services. 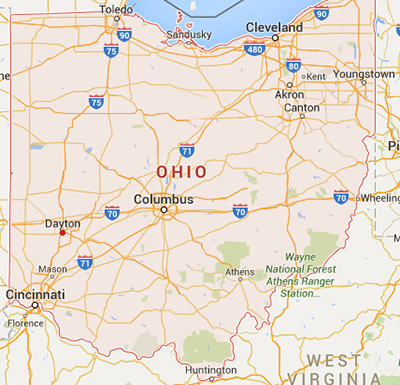 Dayton is located near one of the busiest crossroads in America -- where I-75 meets I-70. More than 35,000 acres of parks, nature preserves and a popular river corridor along the Great Miami River offer outstanding outdoor activities. Greater Dayton has more green space than any other metropolitan area its size. Dayton has been designated a Trail Town by the Buckeye Trail Association and North Country Trail Association. Rural Greene County offers rock climbing in the Clifton Gorge State Nature Preserve, camping and hiking in John Bryan State Park and canoeing along the Little Miami River, Ohio’s first stream to be named a National Scenic River. Dayton offers a rich blend of dance, vocal, theatrical and instrumental arts. The Benjamin & Marian Schuster Performing Arts Center is a world-class facility offering the best in local, national and international performing artists. Dayton Opera and the Dayton Philharmonic Orchestra call the Schuster Center home, and it showcases the latest Broadway shows. Local performing arts treasures, like the Dayton Ballet, also make use of the facilities. The city’s cultural flavor also includes the Dayton Contemporary Dance Company and the Human Race Theatre Company. The beautiful, historical Victoria Theatre is stage for many of these performers, and five other major-event venues also host shows and concerts. 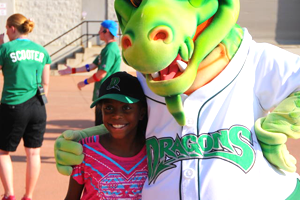 Dayton Dragons Professional Baseball was named one of the Top Ten Hottest Tickets in Sports by Sports Illustrated magazine. With two NCAA Division I schools in town, the Ohio State University Buckeyes in Columbus and the Reds and the Bengals in Cincinnati, the region provides ample opportunities for sports fans. The NCAA includes Dayton in it's list of "Nine great basketball towns." Each year the NCAA tournament begins in the University of Dayton Arena, site of the First Four games that trim the field to a 64-team bracket, and Dayton often hosts major college, high school and amateur sporting events. 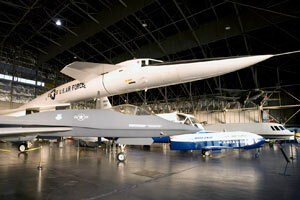 Known as the birthplace of aviation, Dayton is home to the National Museum of the United States Air Force — the oldest and largest military aviation museum in the world and Ohio's number one tourist attraction — and one of the country's premier air shows. Held in July each year, the Vectren Dayton Air Show showcases military jet demonstrations, world-class aerobatic champions and entertainment for the whole family. Other points of historical interest include the Boonshoft Museum of Discovery, the National Afro-American Museum and Cultural Center and Carillon Historical Park. For the past several years, Dayton's 2nd Street Market has been voted the Best Farmer's Market on the Best of Ohio Readers' Ballot from Ohio Magazine. The Miami Valley's largest shopping mall, the Mall at Fairfield Commons, is located near campus. 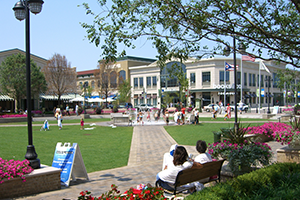 The Greene — a 72-acre town center featuring pedestrian-friendly streets, retail stores and restaurants — opened in 2006. The area's newest retail outlet, Austin Landing, is an outdoor 142-acre office park complex that offers restaurants, shopping and nightlife at the south end of the Miami Valley. Unique restaurants and shops are part of Dayton's Oregon District, and several small towns surrounding the city feature gourmet restaurants, eclectic shops, green space and great schools. Southwest Ohio boasts an almost endless succession of cultural and ethnic festivals, rib cook-offs and county fairs during the summer months, along with musical offerings ranging from jazz, blues and R&B, to Latin, Celtic and polka. 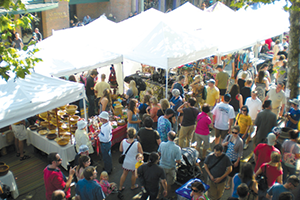 The twice-a-year Yellow Springs Street Fair, with its music festival, ethnic food and beer garden, is a prime spot for people-watching, according to Ohio Magazine. Just down the road from Dayton, the annual Ohio Renaissance Festival in Harveysburg features 12 entertainment stages, more than 100 arts and crafts shops, period food and drink, games of skill and human-powered rides. 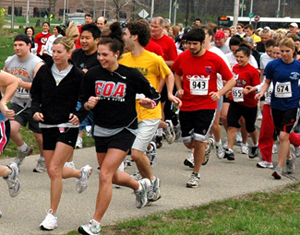 Learn more about Ohio Festivals. Dayton's prime position near Interstate 70 and Interstate 75 makes it easy to visit the major cities of Cincinnati and Columbus. The Midwest's largest amusement and waterpark, King's Island, is just 35 miles south on I-75. 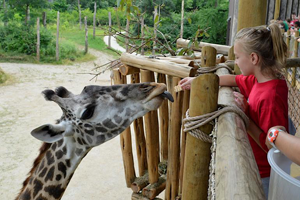 Riverboat cruises, world-class museums, indoor and outdoor concert halls, train rides, two award-winning zoos, outlet malls, race tracks and casinos are all within a one-hour drive from Dayton.